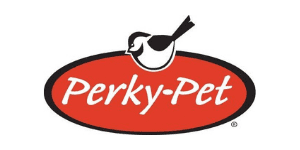 We carry top quality food from Agway, Southern States, Feathered Friend, and Earthborn Cat and Dog food. It’s important to make sure the food you’re getting is nutritious and beneficial, and here at Hammond Lumber Company, that’s something we understand. When you buy your food here, you can rest easy knowing you bought trusted, nutritional food. We carry foods for dogs, cats, other pets, wild birds, horses, poultry, swine, goats, as well as beef and dairy cows. Our horse feeds are designed with the horse and the owner in mind. They provide solid nutrition to help your horse look and feels its best. That, combined with unsurpassed safety and quality standards, gives owners the peace of mind knowing they’re buying the best feed there is. Through advanced nutrition, the poultry feeds we carry assists in promoting optimal egg freshness and support overall flock health. 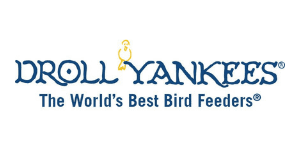 Whether you’re raising chickens, turkeys, ducks or other game birds, you can rest assured that you are purchasing a top quality product for your flock. The pig feed we stock has raised the bar on superior value and solid nutrition. With all the essential nutrients that your pigs will need to support proper health and growth, getting your pig feed from Hammond Lumber Company is a great way to keep them happy and healthy. When you give your herd feed you’ve purchased from Hammond Lumber Company you know you’re doing the best by them. Our sheep and goat feed will always hold true to value and nutrition. We know it’s important to take the best care of your investment and that means choosing top nutrition to support a healthy, happy herd. Cattle feed from Hammond Lumber Compay will provide you with just what you want and they need; complete nutrition for all types of cattle. When it comes to dairy, nutrition goes a long way. Dairy feeds found at Hammond Lumber Company incorporate a supreme nutrition package backed by science and tradition to support the overall health of the dairy cow. Bags of seed can come in single-seed bags, like sunflower hearts, or in a variety blend of several seeds mixed together. 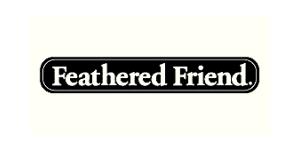 Some of the blends are specifically formulated to attract specific types of birds. Birdseed is usable in a wide variety of feeders, but it is prone to spilling and messes. Suets and cakes are an easy alternative to loose seed. Where loose seed is prone to spilling, cakes and suets stay in place until finished off by your hungry, feathered visitors. It also takes a little bit extra time for birds to get each bite, meaning they stay at the feeder longer when using cakes and suets. Feeding hummingbirds is an easy, rewarding past time. When placing your feeder, it is best to place the feeder in the shade so the nectar stays fresher and won’t evaporate as quickly. If you’d like a close look at these fast, feathered flyers, we recommend placing the feeder in a window to get the best view. Bird feeders are necessary to hold and distribute most seed types available. Luckily, they come in all sorts of shapes, sizes, styles, and colors. Bird Houses are a nice way to invite these creatures to live close to you so you can get a peek at the way they live. Pole mounted birdhouses not only provide places for birds to live, but also make interesting garden ornaments. 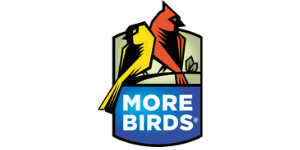 If you’re looking for a fun, easy summer activity, painting a birdhouse using Benjamin Moore paints found at Hammond Lumber Company is a great time, either for an adult bird enthusiast, or younger ones just starting their bird watching activities. Earthborn Holistic dog food has been designed with health and wellness for your pets in mind. Using thoughtfully-chosen ingredients, adding vitamins, minerals, and amino acids help to support overall health and growth. Together, they make an excellent source for optimal nutrition for your dog. 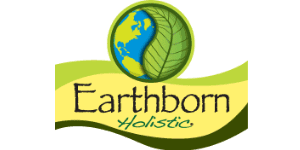 Earthborn Holistic takes a natural approach to cat food nutrition. Wholesome, nutrient-rich vegetables and fruits, and a precise blend of essential vitamins and minerals are carefully combined to provide a highly palatable, healthy diet for your cat. Top Quality Brands You Trust and We Carry!